November 9, 1982 The Friends Foundation of the Topeka Public Library (predecessor to The Library Foundation) is founded and incorporated by the Friends of the Library. April 1986 Friends initiates Lifetime Membership program with $1,000 proceeds going to the Foundation. April 1992 Legislation to expand the library district to Shawnee County passes the Kansas State Legislature by one vote in the House of Representatives. November 1992 The voters of the city and county approves a new Topeka and Shawnee County Library District. The library’s name changes to the Topeka and Shawnee County Public Library. January 1994 Anticipating growth and expansion with the new library district, the foundation board shifts to a more active role. A new board is elected and the name changes from the Topeka Library Foundation to The Library Foundation. January 1996 The library asks Foundation & Friends to take a lead role to execute a bond campaign for a new library facility. 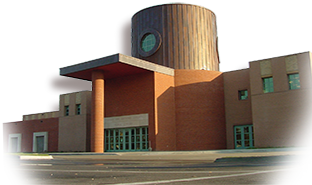 August 1996 A $23 million bond issue to expand and renovate the library is approved by Shawnee County voters on August 8th. March 1997 The Foundation hires its first full-time staff, Jim McHenry. February 1998 Ground-breaking for a 100,000-square foot addition to the library. Internationally renowned architect Michael Graves designs the project. An endowment gift of $150,000 is received from the Sabatini family in memory of Alice C. Sabatini. In gratitude for this gift, the art gallery in the new building is named the Alice C. Sabatini Gallery. Each year, the income from the fund is used to exhibit an art show for children. May 2000 The library agrees the Foundation will manage and operate the Millennium Café. January 2002 The capital campaign raises $4.3 million since 1998 and the new library facility opens. Fall 2002 The Oveson-Campbell Homework Center is a place for kids of all ages to get help on their homework assignments by trained professionals. September 2007 With the generous support of Dr. Phillip and Betty Baker, The Baker Genealogy Center is made possible. It houses comprehensive resources in print, electronic form or on microfilm. September 2008 The Neighborhood concept, which pulls related topics together in one place for your browsing convenience is made possible with financial support of the Foundation. This organizational system helps turn around a troubling trend: the decrease in non-fiction check-outs. September 2008 The Foundation provides funding for The Edge, an activity area in the library for teens. This casual spot is the perfect place to hang out with friends, play video and board games and enjoy programs like Performers’ Place, Books into Movies and Teen Writers Group. October 2013 The Youth Services department is transformed into an engaging place for kids through the financial help of the Foundation. The Kids Library is space for learning and exploration. June 2014 The Foundation’s work with Capitol Federal® Foundation creates a literacy partnership to be enjoyed across Shawnee County. The $200,000 gift and support from the Friends enable the library to purchase the new bookmobile, Sherlock, replacing a 21-year-old vehicle. May 2015 The Alice bookmobile arrives. This new bookmobile is helped made possible by the estate gift of Margaret and Hugh McCausland – longtime Friends of the Library volunteers and book lovers. December 2016 The Learn & Play Bus arrives. This mobile classroom makes sure preschool-age children develop through playing, talking, reading, singing and writing so that they’re all set to read when they enter school. April 9, 2017 At the annual Wilder Society Tea, Dr. Glenn and Claire Swogger were honored for their lead gift for a new outdoor space to include a pavilion, amphitheater and eating area. Construction is to begin in 2018. April 26, 2017 Dolly Parton’s Imagination Library launched at the Topeka Main Post Office joined by Postmaster Sheryl Stark. With major funding from The Library Foundation, the library and United Way of Greater Topeka partnered to make this free book program available to all Shawnee County children birth to 5 years old. May 23, 2018 The ribbon cutting for the Taylor Team Room honored Warren Taylor and his late mother, Velva C. Taylor. Warren provided the first gift to name one of eight new team rooms. May 24, 2018 The community gathered for the groundbreaking of Claire’s Courtyard and to celebrate the generous support of Dr. Glenn Swogger, Jr., his beloved late wife, Claire and their Redbud Foundation who made this project possible.